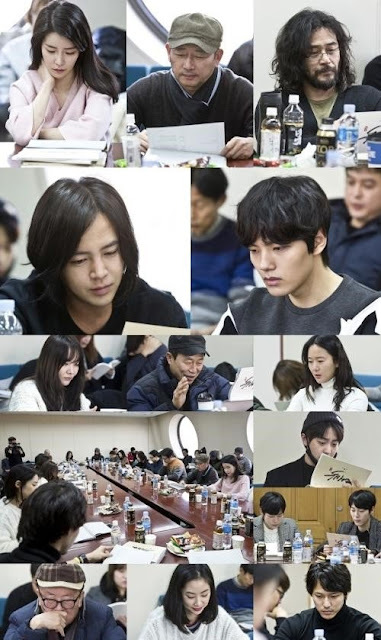 Upcoming SBS drama 'Daebak' held its first script reading with attending actors Jang Geun Suk, Yeo Jin Goo, actress Lim Ji Yeon, and more! 'Daekbak' is a fictional historical drama telling the story of forgotten prince Dae Gil and his younger brother Young Jo as they fight each other for power and love. The drama will tackle action, love, bromance, gambling, and thrill all in one! In addition, the word of intense bromance between co-stars Jang Geun Suk and Yeo Jin Goo is already drawing quite the attention. 'Daebak' will air on March 28 after current SBS drama 'Six Flying Dragons'.